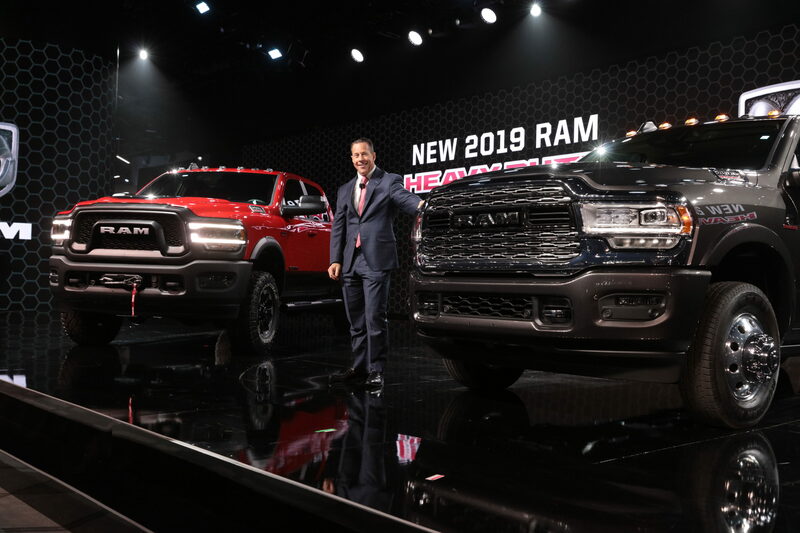 FCA kicked off the year with the launch of its 2019 Ram Heavy Duty and followed it up with a multifunction tailgate for the 2019 Ram 1500. 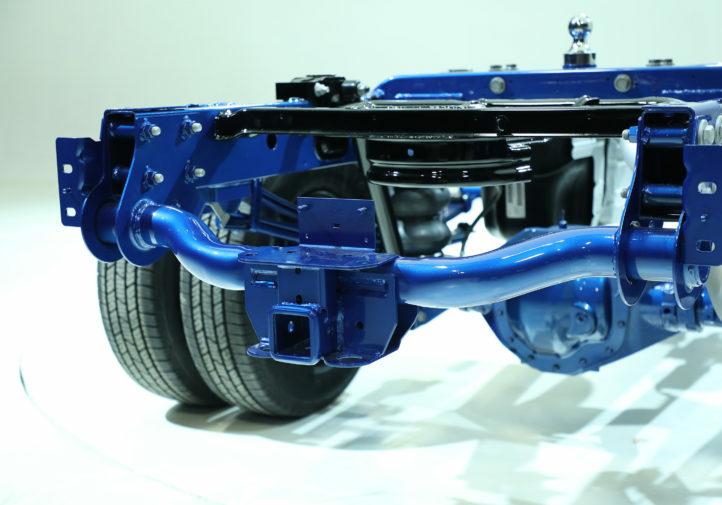 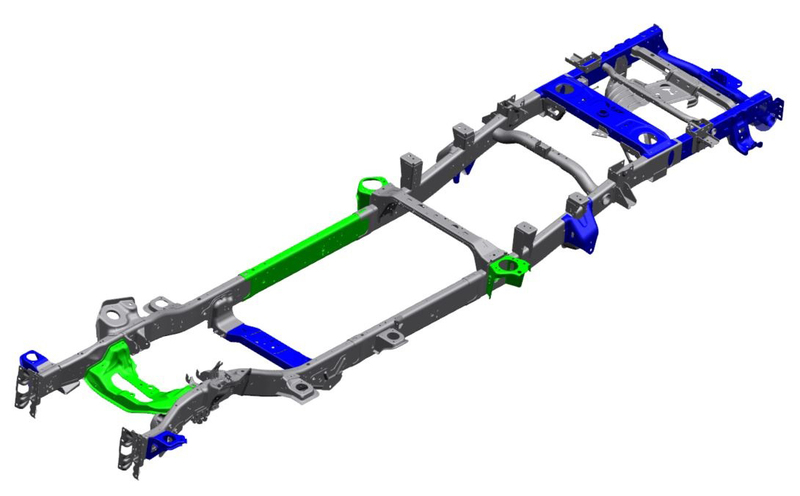 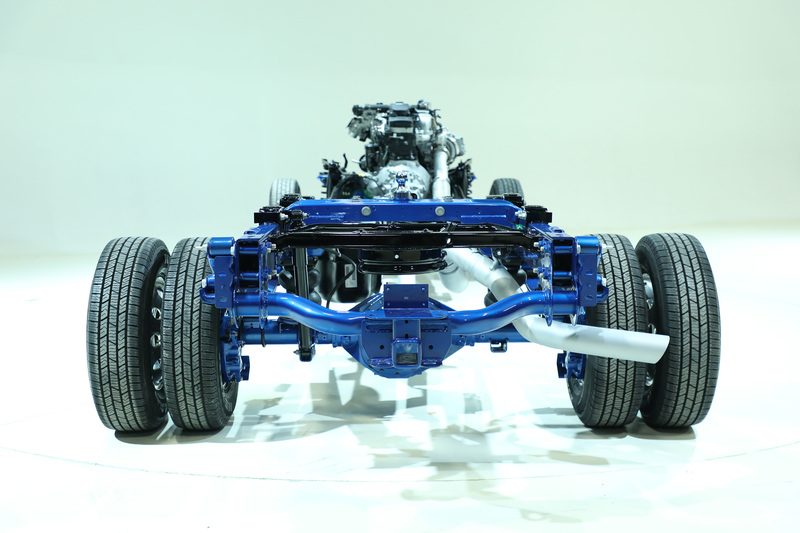 Collision repairers can expect to see more high-strength steels in the 2019 Heavy Duty compared to the outgoing 2018 model, possibly even more than on the Ram 1500 announced a year ago. 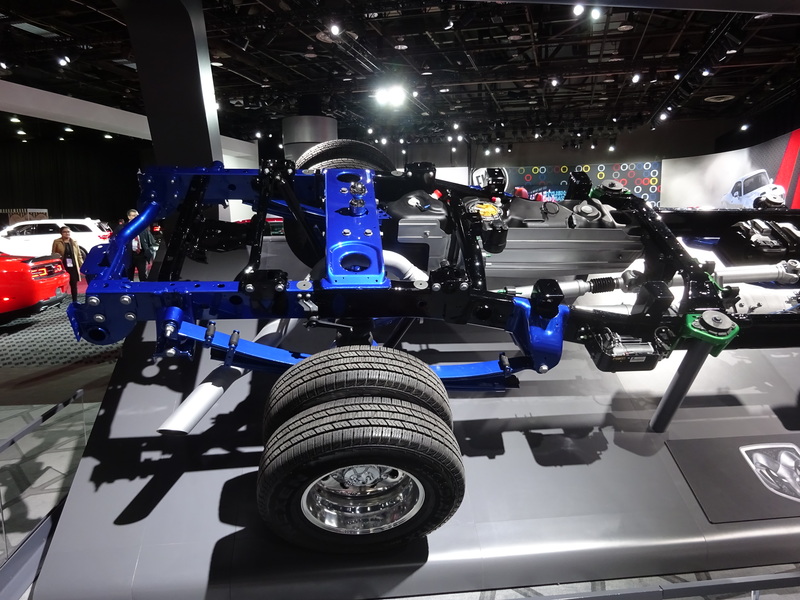 They’ll also see other lightweighting elements not found on the 2018 Heavy Duty, including an aluminum hood. 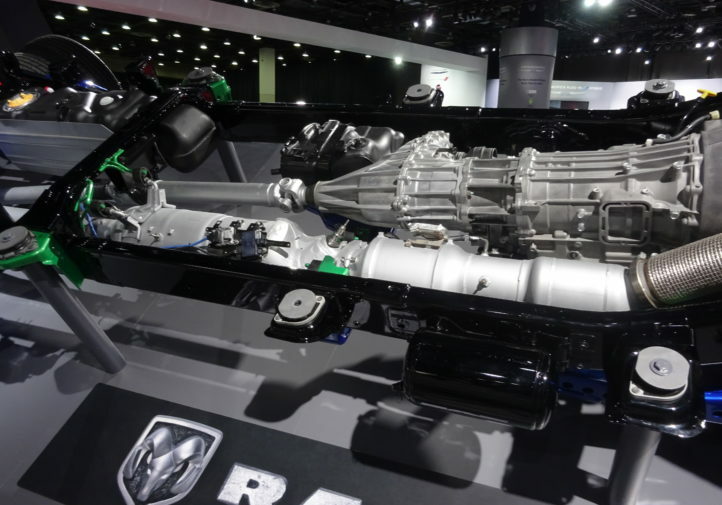 It’ll be important to learn the nuances and repair procedures of new 2500 and 3500 if you’re in a Ram-friendly market. 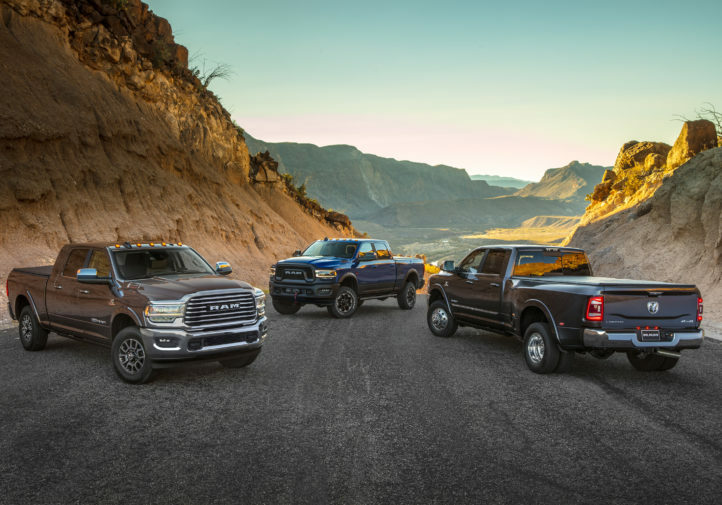 Ram sales hit a record in 2018 of 597,368, and about a quarter of these are heavy-duty. 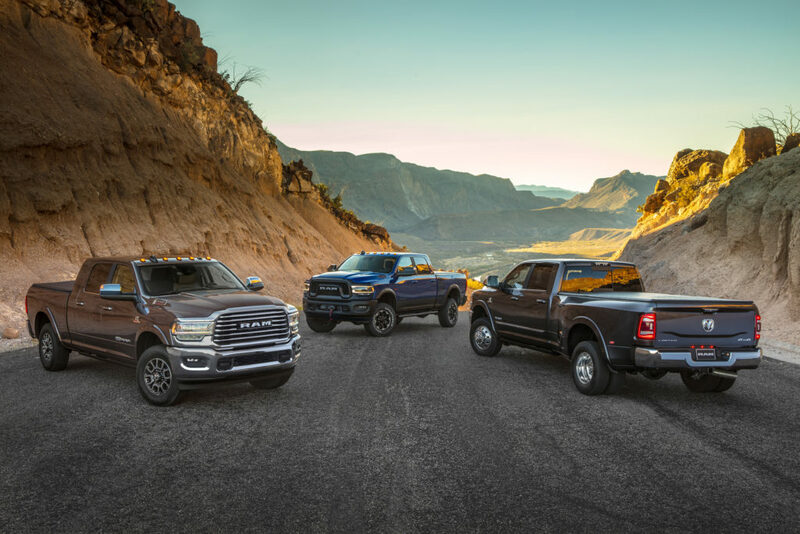 Some of the design and technology changes described in this article will be present on the Ram 1500s repairers are already seeing, while others might not only be an upgrade from the 2018 Heavy Duty but an upgrade from the 1500 as well. 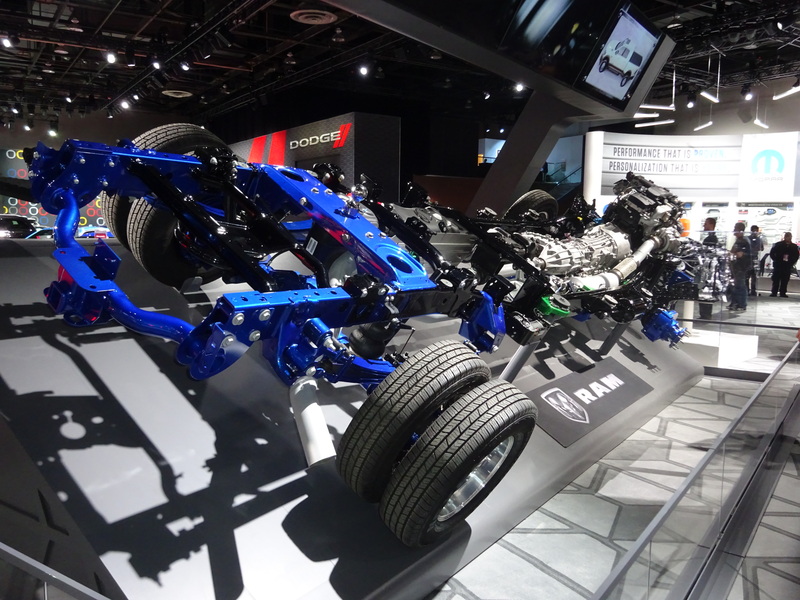 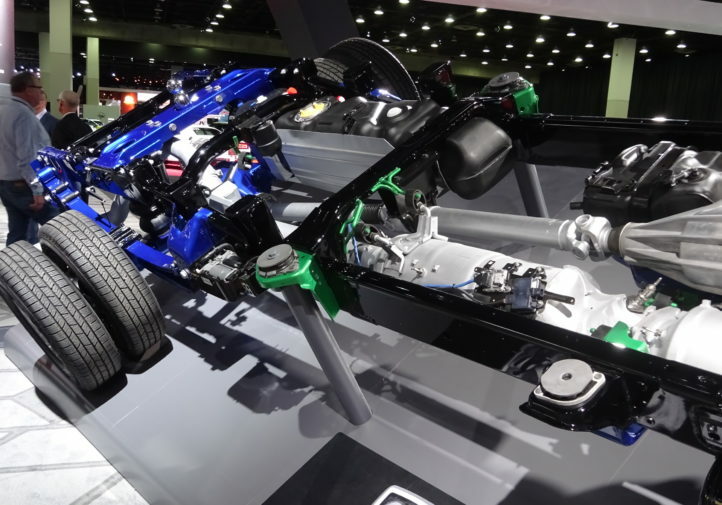 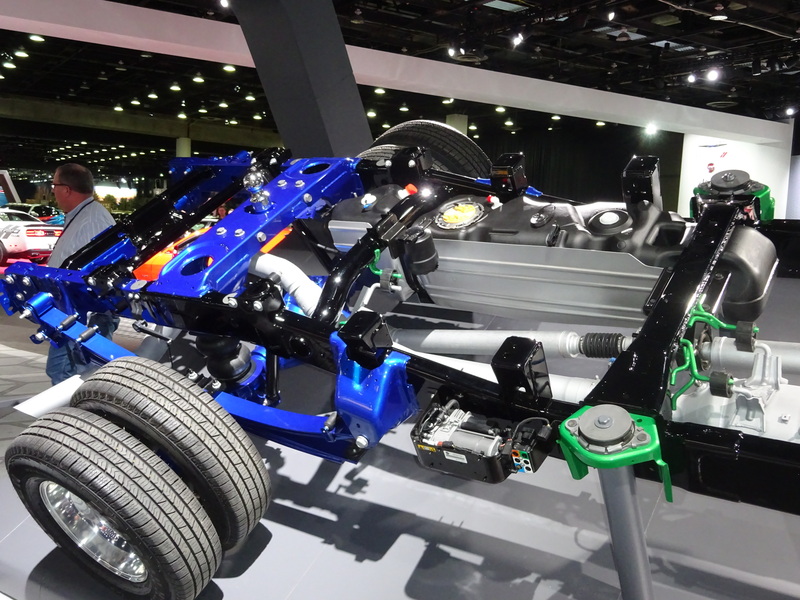 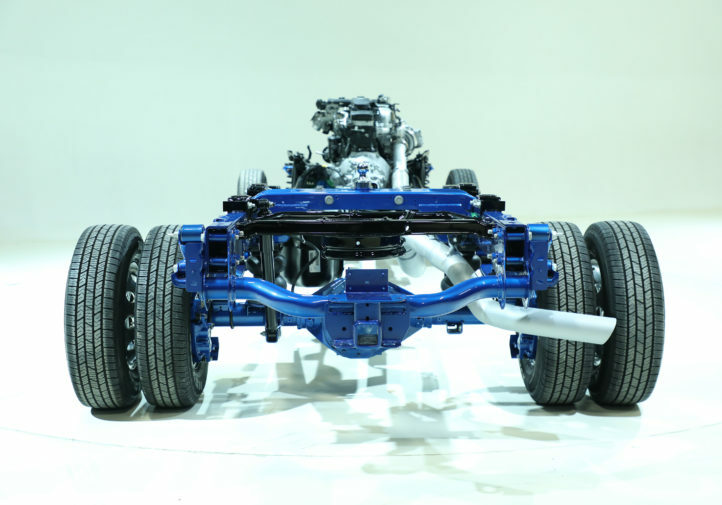 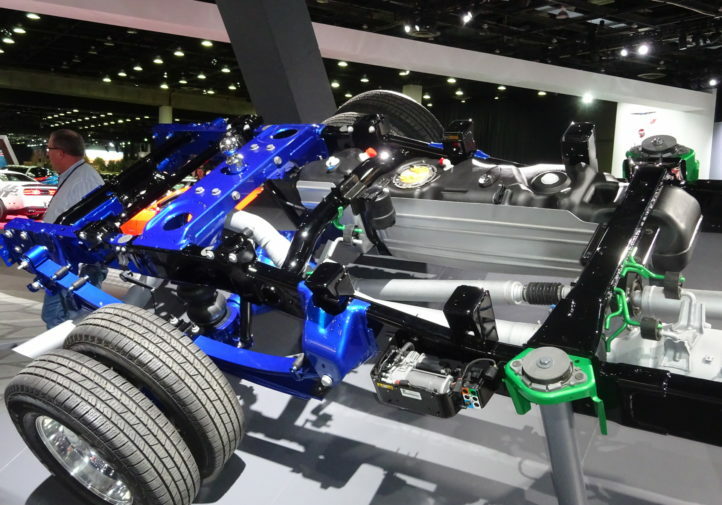 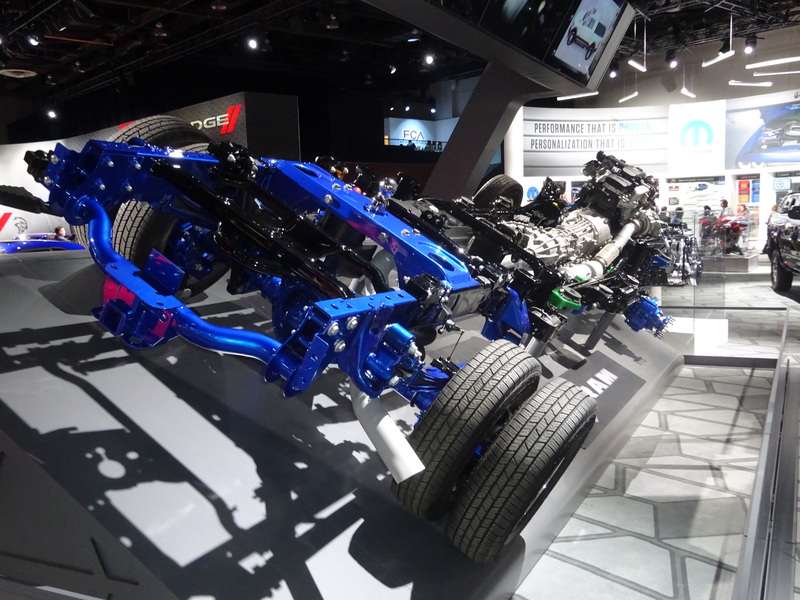 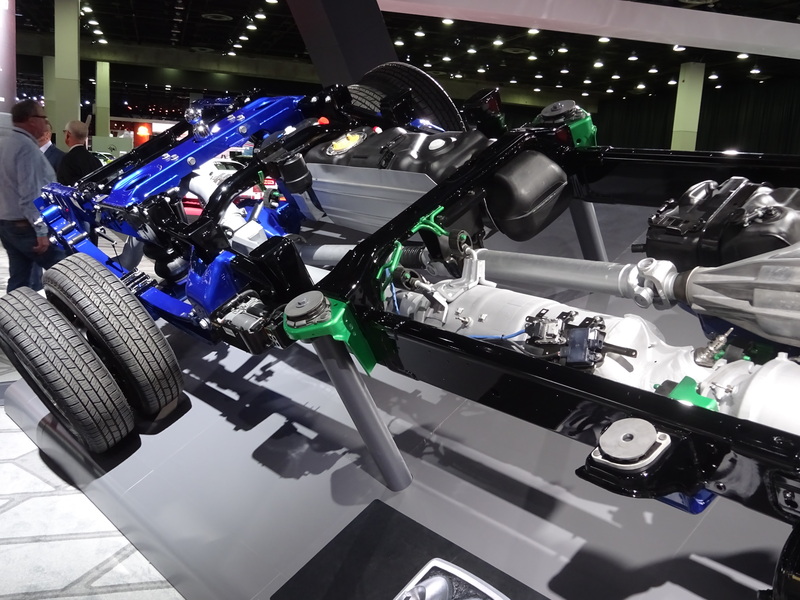 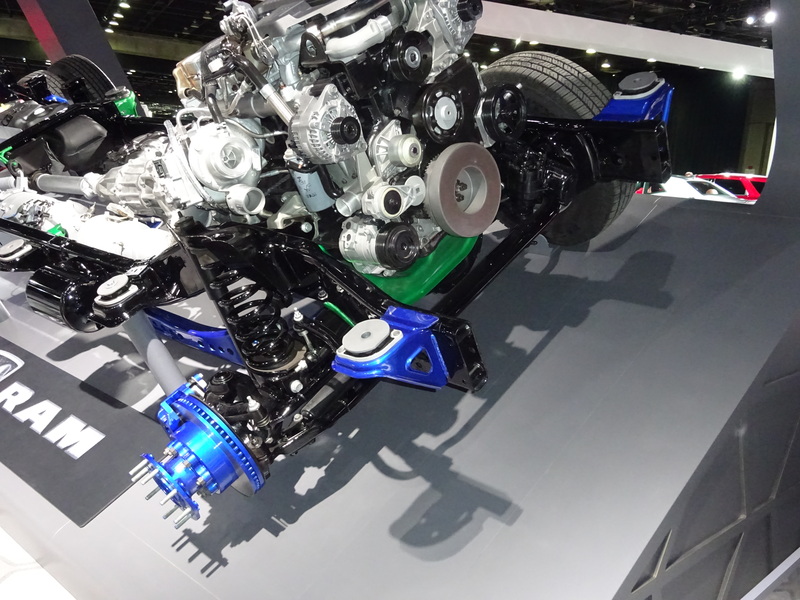 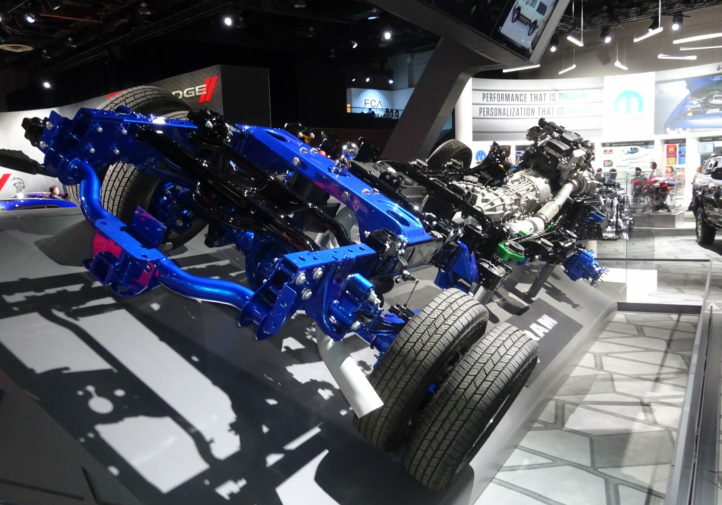 “Every pound you can reduce … that equates to payload,” Ram Heavy Duty chief engineer Rod Romain said at the 2019 North American International Auto Show. 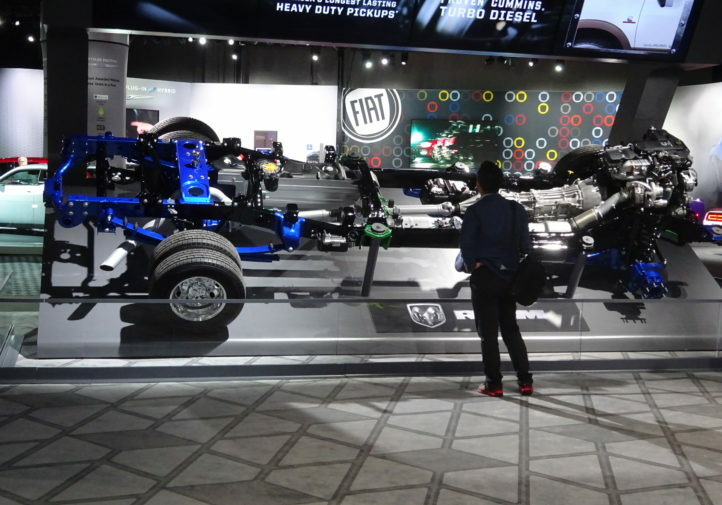 Romain said the frame is about 31 pounds lighter on average, the powertrain is 60 pounds lighter with a diesel configuration, and the body dropped 27 pounds — even with new features like an active grille shutter. 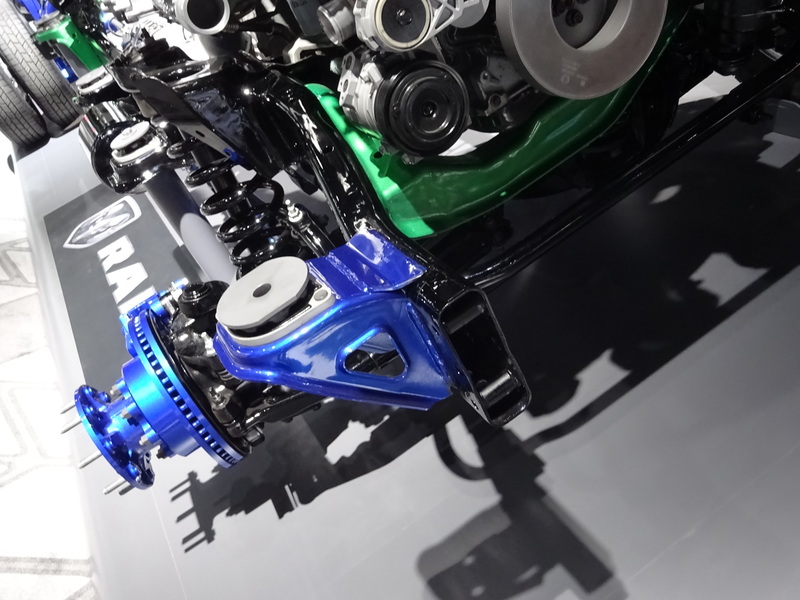 Increased use of high-strength steel let Ram downgauge, particularly on the front of the 2500, while preserving capability, strength and performance, he said. “Several body elements are upgraded from mild steel to high-strength steel on the 2019 Heavy Duty pickups,” FCA wrote in a news release. 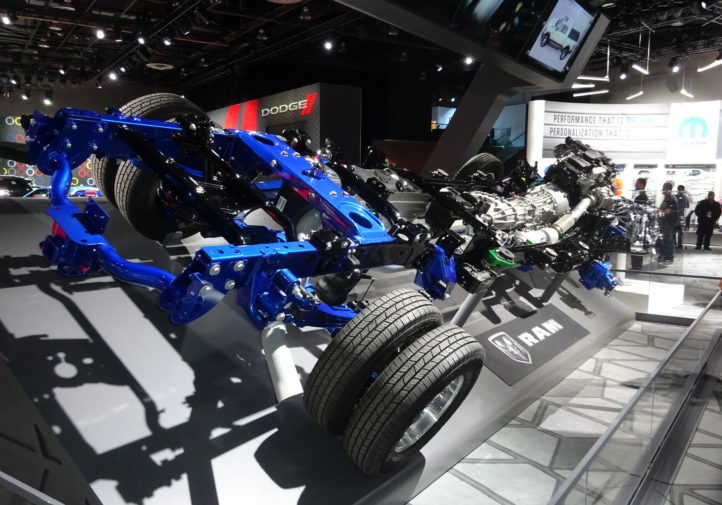 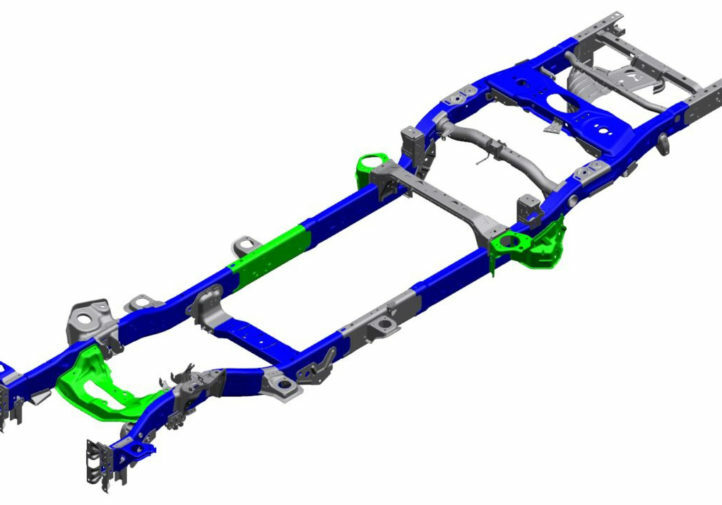 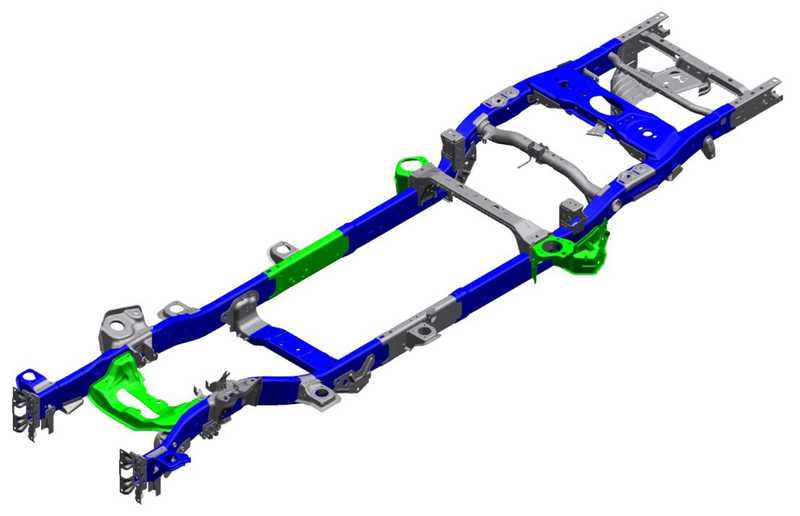 The Ram Heavy Duty’s front radius arms also saw steel removed where it wasn’t necessary and added where it was, according to Romain. 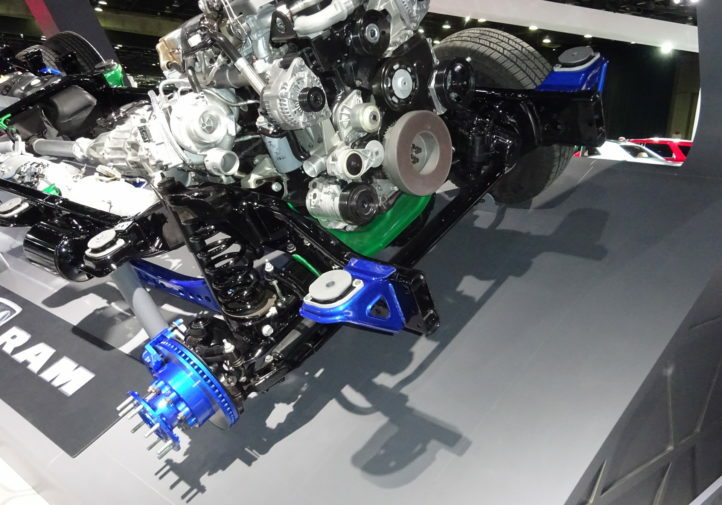 The result was a structure which was “more capable” but two pounds lighter, he said. 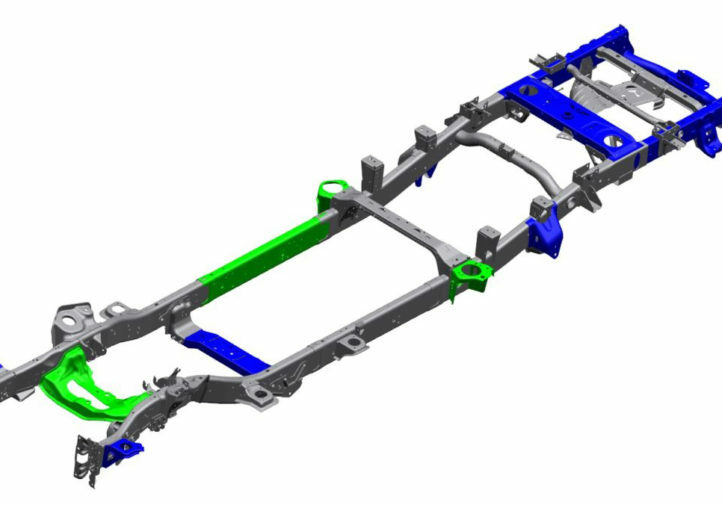 Other noise, vibration and harshness efforts included redesigned crossmembers, acoustic glass and active noise cancellation, according to Romain. 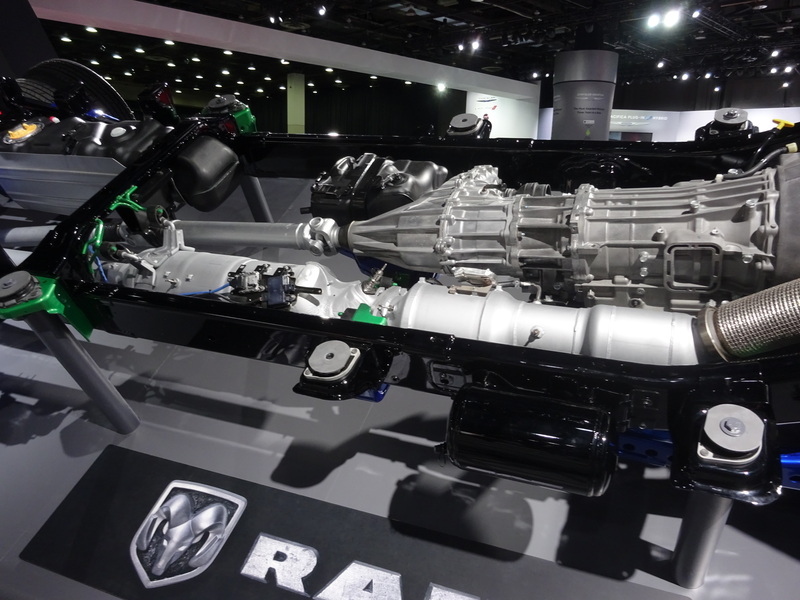 Ram also redesigned exhaust hangers to produce less drone and noise, he said. 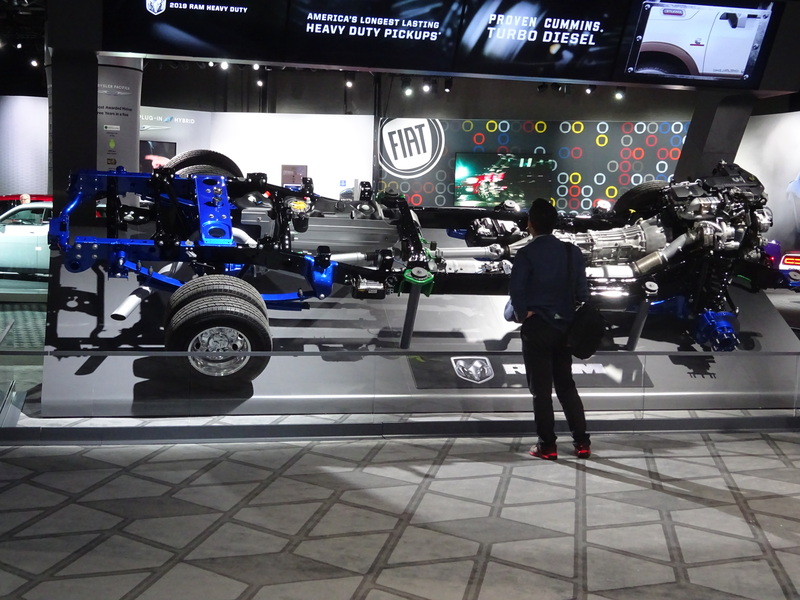 FCA wrote that its active noise cancellation and acoustic glass knocked 10 decibels out of the ride. 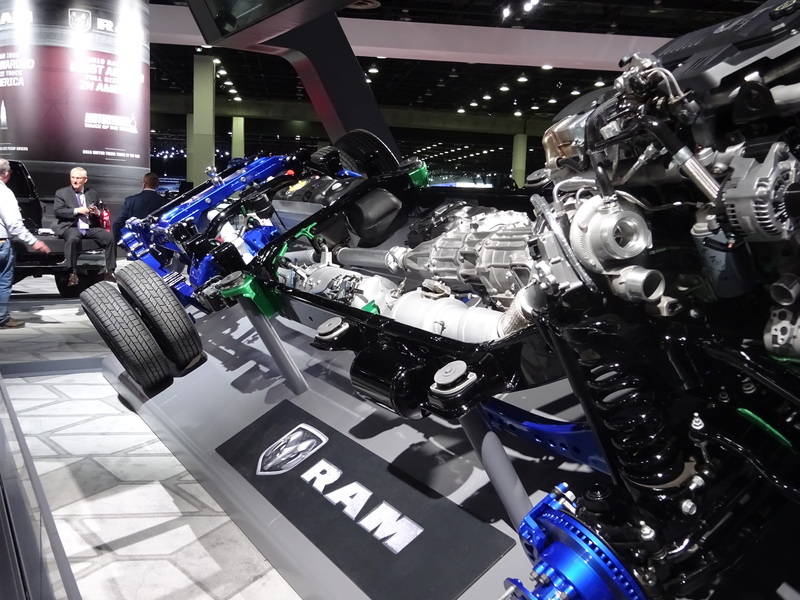 “Upgrades to improve NVH include new C-pillar hydromounts, anti-vibration devices, new engine mounts, active noise cancelling and new exhaust-system attachments,” Ram wrote in a news release. Ram also will produce a 2019 Ram Power Wagon with “a unique suspension, factory suspension lift, locking front and rear differentials, disconnecting sway bar and a 12,000-lb. 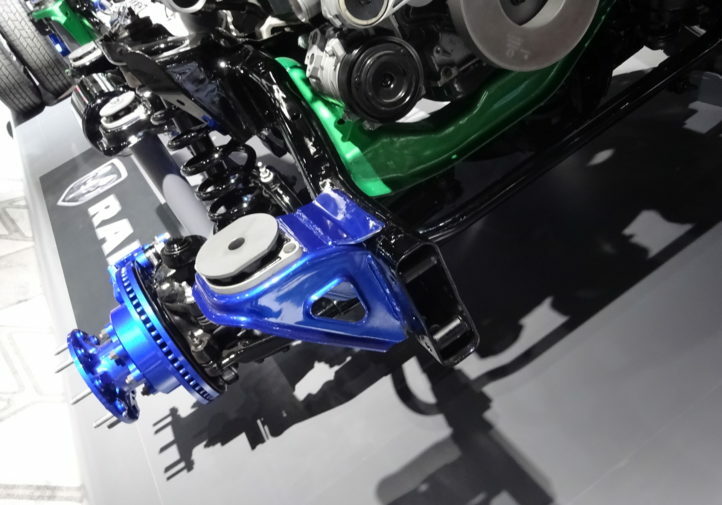 winch.” The off-road truck will also have a 360-degree camera. 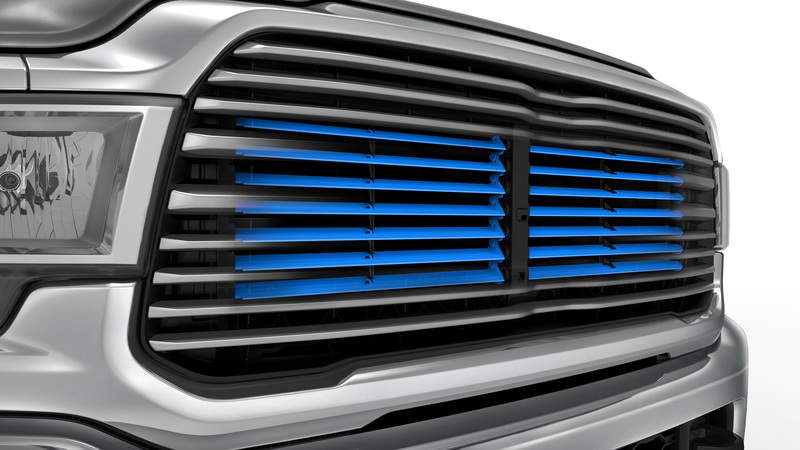 • Make sure you order the right grille; there’s six different possibilities. 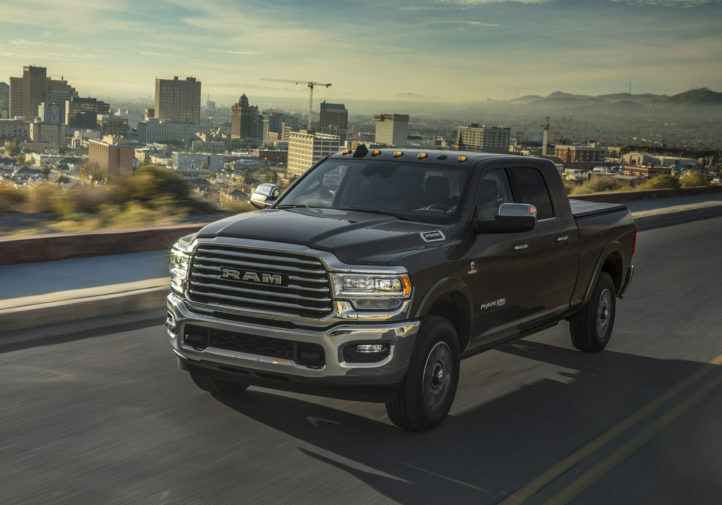 • The front bumper’s larger openings send more air to “the largest turbo intercooler Ram has ever adapted to its halo pickups.” There’s also a removable air dam. 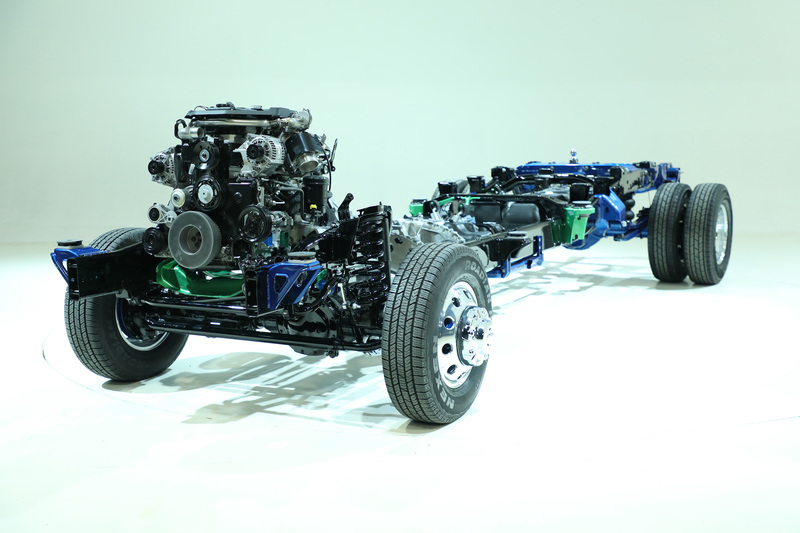 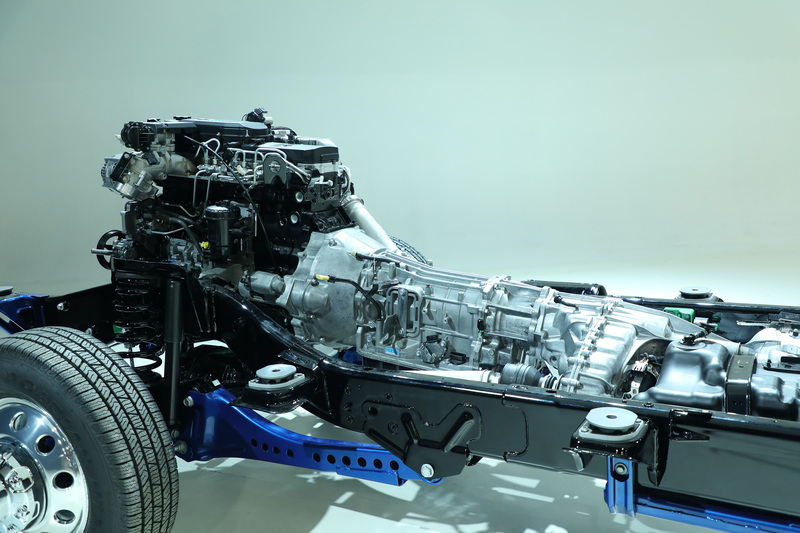 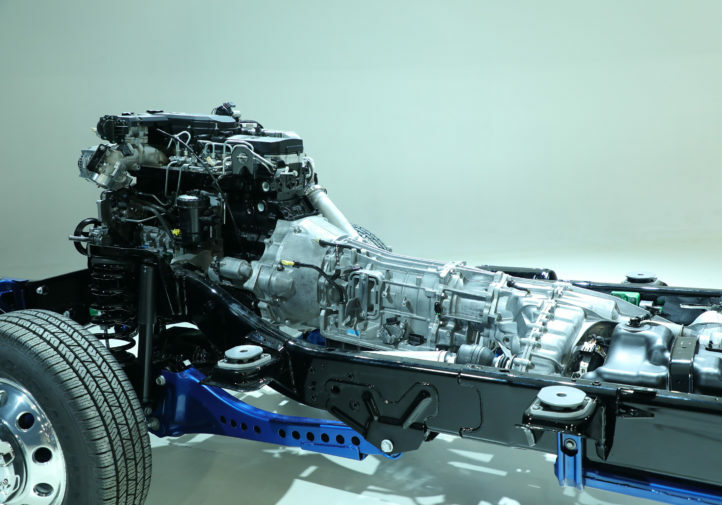 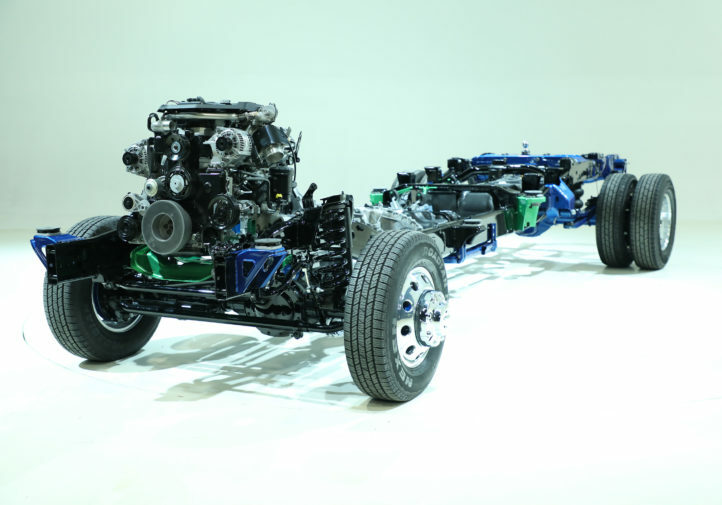 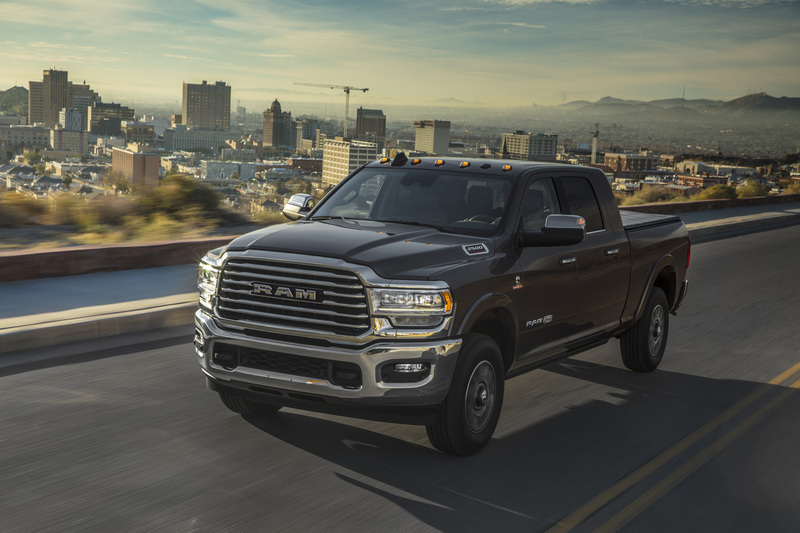 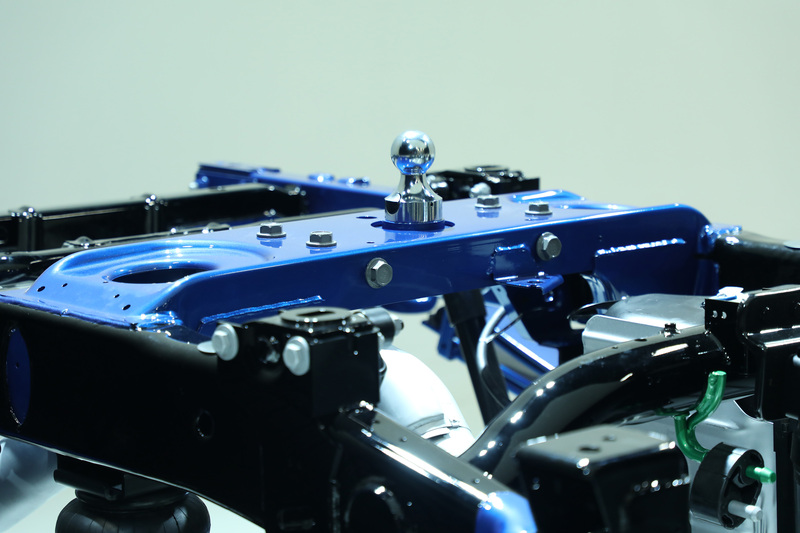 • “More than 20 sensors surrounding the new Ram Heavy Duty are seamlessly integrated to make them less visible,” FCA writes in something that absolutely applies to body repair. 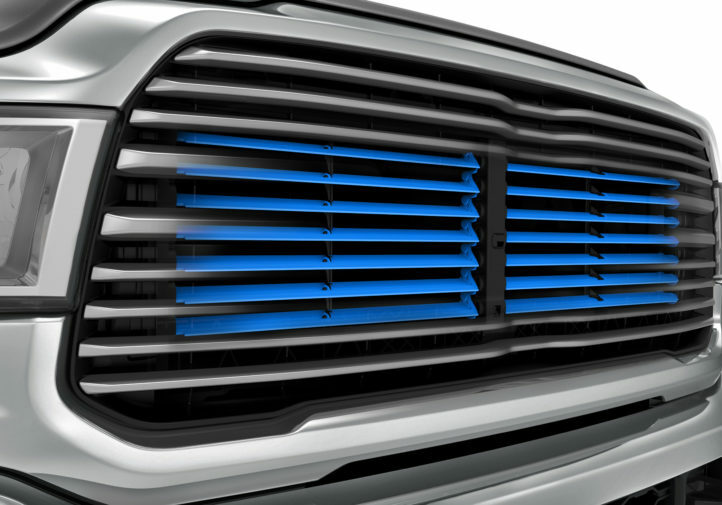 It’s unclear if the OEM means 20 sensors total — or just in the front of the truck alone. 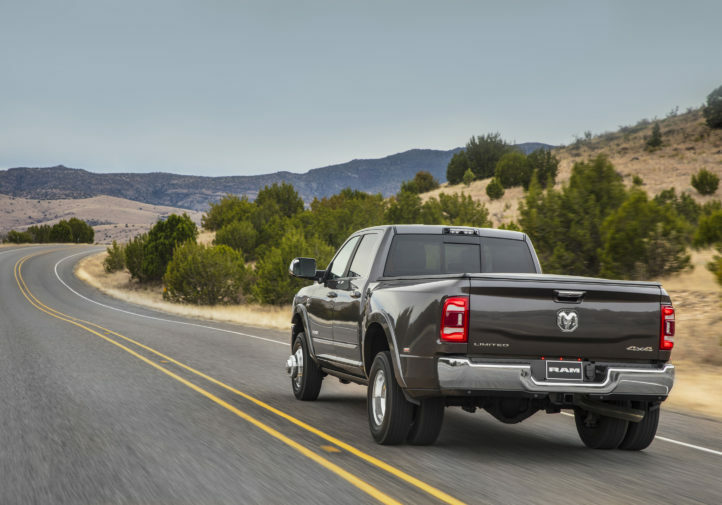 • An optional LED headlight format can turn itself “up to 15 degrees of movement in the expected direction of travel.” Also, the headlights can say “Ram,” which could make it difficult to substitute an aftermarket version. 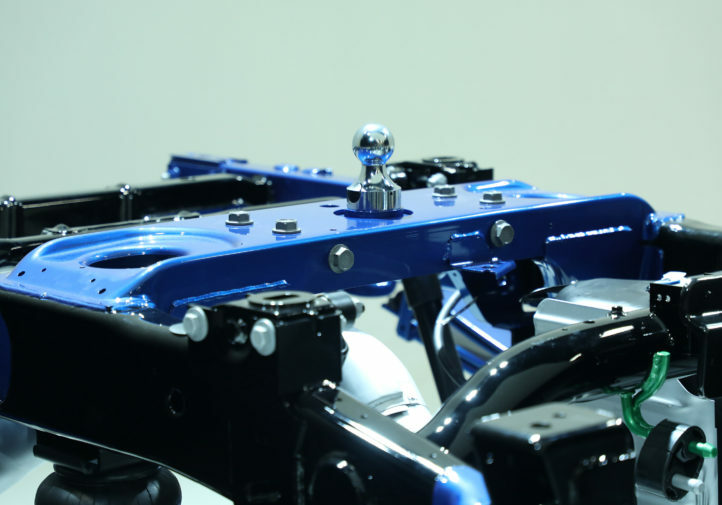 • Autobraking and adaptive cruise control come standard in all 2019 Heavy Duty Rams, and the autobraking capability extends to trailer brakes, according to FCA. 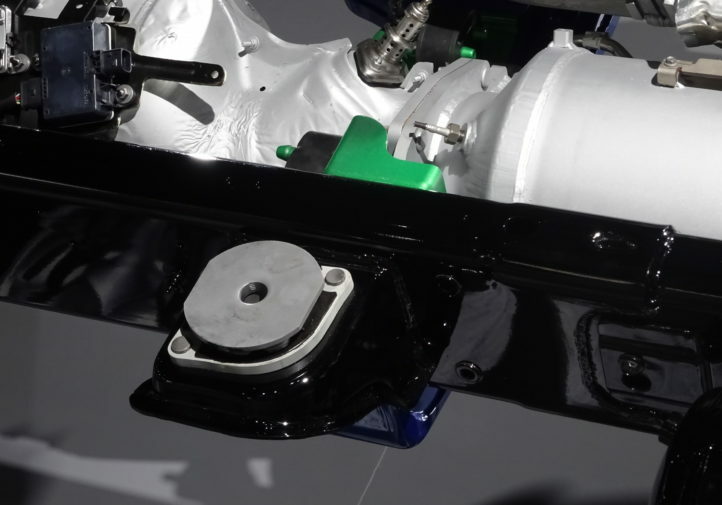 Romain said the trailer autobraking calibrates by sensing acceleration and trailer feedback when the trailer is plugged into the truck. 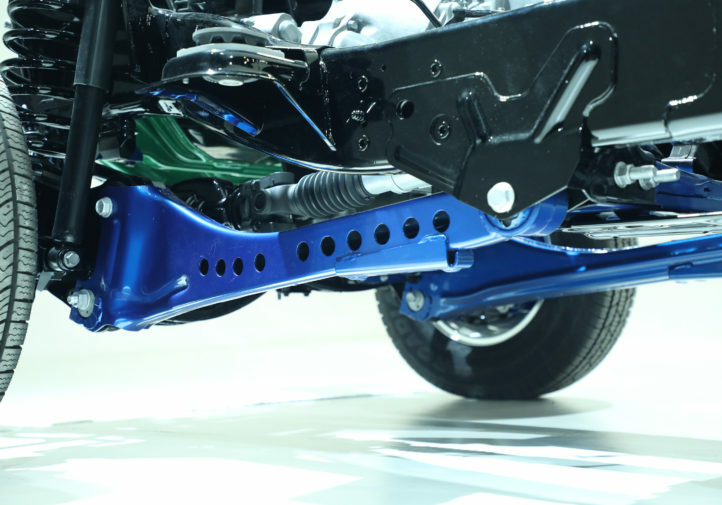 According to FCA, the capability is self-calibrating and can use the exhaust brake as well. 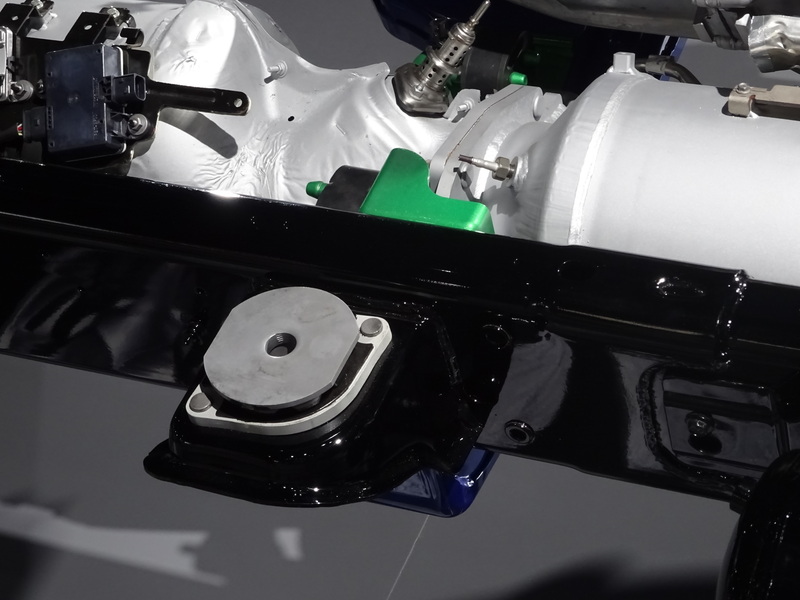 • Romain also said that a module in the rear of the truck can also pick up TPMS signals from the trailer wheels and convey them to the driver. 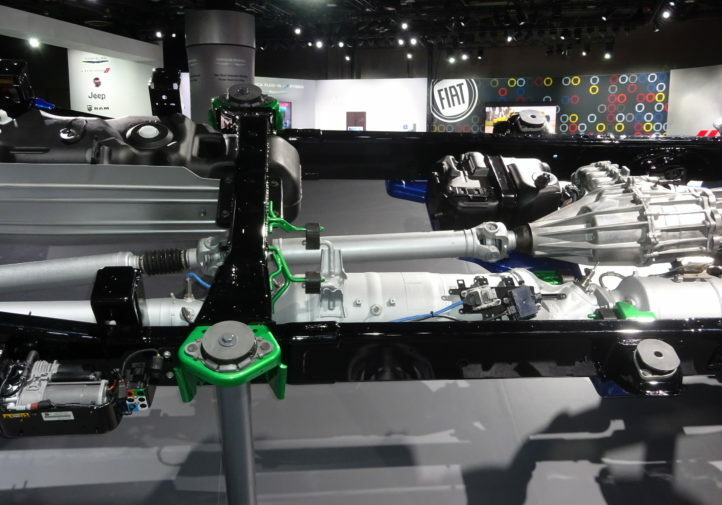 If you buy that option from FCA, it installs a module to detect those TPMS sensors within the back of the truck by the bumper, according to Romain. (The vehicle owner receives the sensors to install himself or herself in the tires.) 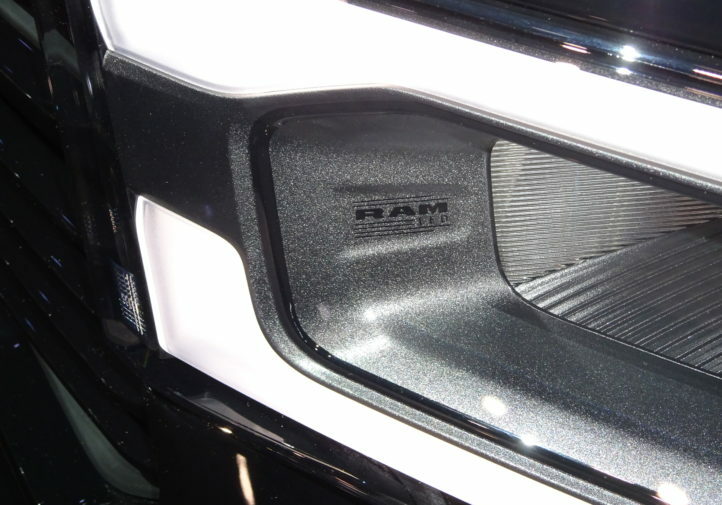 He said Ram opted for this design so the pickup device didn’t have to be mounted with the trailer. 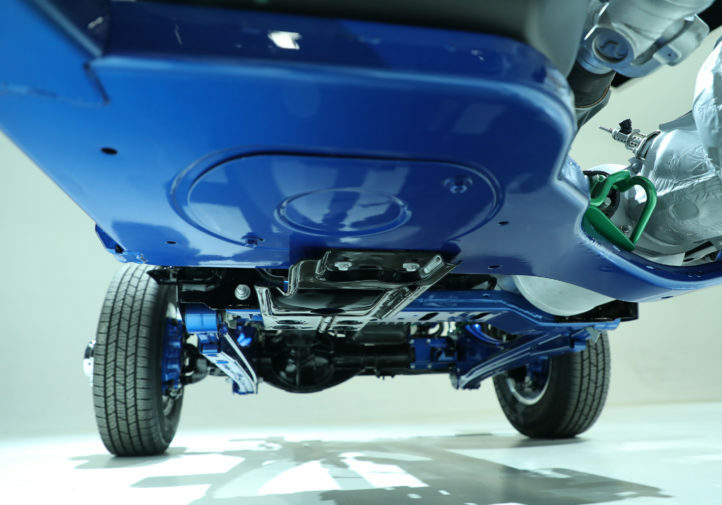 Of course, for shops, that’s another item to watch out for a customer brings in a Heavy Duty that took damage to its rear. • The backup sensors on the 3500 are “specifically designed” to handle the extra width of dual rear wheels. 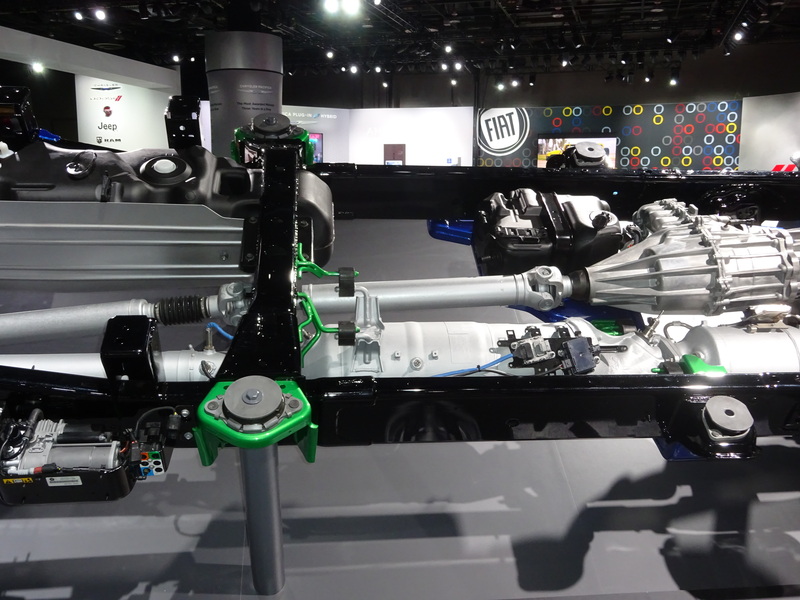 But as noted above, FCA hasn’t forgotten about the Heavy Duty’s little brother this year. 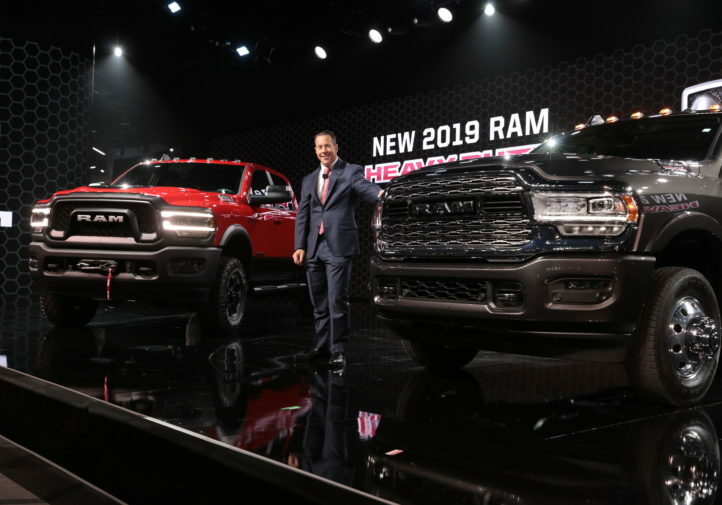 FCA announced Wednesday the 2019 Ram 1500 would receive a new “multifunction tailgate” in the second quarter of the year. The optional feature would cost $995, with an additional option to get a retractable center step for another $295. 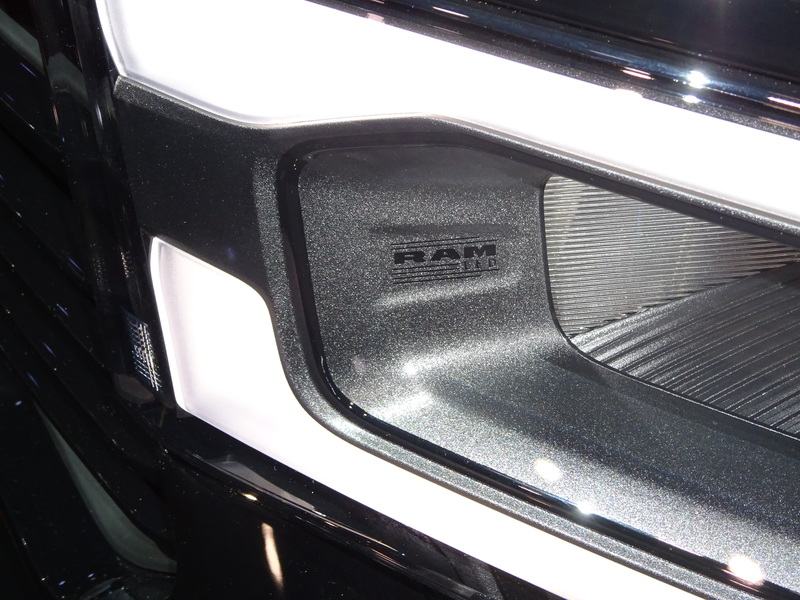 The tailgate of the average 2019 Ram 1500 was made from aluminum; it’s not clear what substrate was used on the new tailgate. 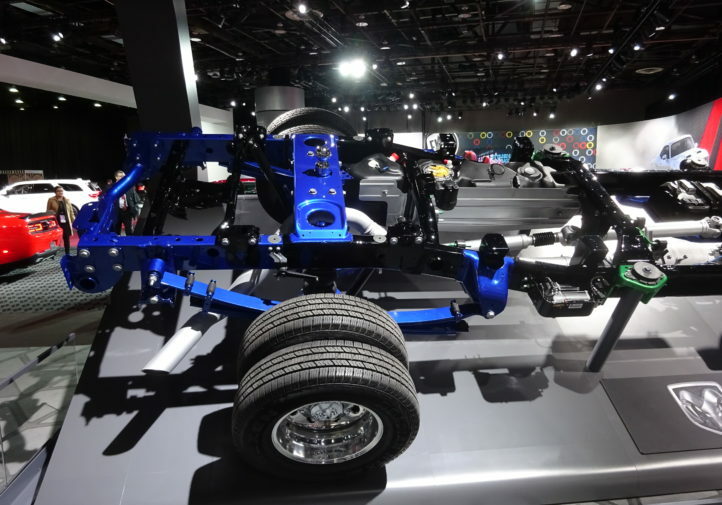 FCA said the tailgate can be opened flat like a typical tailgate or have either one or both of its “60-40 split, swing-away” doors opened. 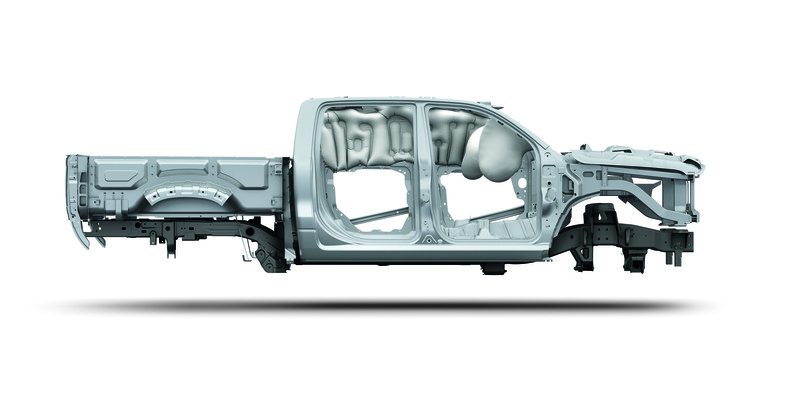 Either door can be opened 88 degrees. 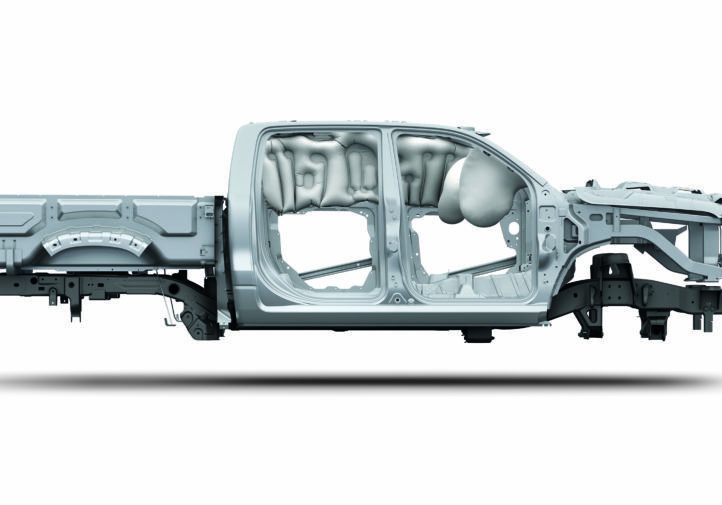 However, the combined tailgate still can handle the 2,000-pound load of the regular tailgate, according to the OEM.